Commission on Accreditation for Prehospital Continuing Education (CAPCE) approved course follows the U.S. Department of Transportation (DOT) National Standard Curriculum for Emergency Medical Technician Refresher. Students are trained according to the standards outlined above. Students who successfully pass the course, will be presented with a certificate outlining the applicable topic areas. This course can be used towards recertification as an EMT/EMT-Basic for National Registry of Emergency Medical Technicians (NREMT). 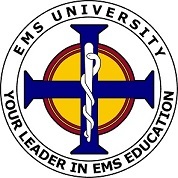 Ruben Major, EMT-Paramedic, J.D., M.A.